Long-term disability (LTD) insurance plans are designed to provide financial assistance to individuals who can no longer do their jobs in order to make a living after sustaining debilitating injuries or illnesses. While LTD plans are oftentimes provided by employers, individuals might want to consider purchasing their own LTD policy. Workers who have LTD coverage are protected and a percentage of their income is given to them. Unfortunately, not all LTD policies provided by employers are the same and some can be insufficient depending on the severity of one’s disability. While purchasing an LTD policy can be expensive for some, workers who buy a separate plan may receive higher payments upon reimbursement. Workers who are covered by their employers’ LTD should know that the benefits they will receive are taxable, unlike LTD policies that are purchased from an insurance agent. Whether provided by employers or purchased separately, workers should consider getting an LTD policy. As the U.S. Census Bureau noted, roughly one of every five workers suffers from a long-term disability. Unfortunately, there are times when LTD providers wrongfully deny or delay the benefits needed by disabled workers who have LTD coverage. 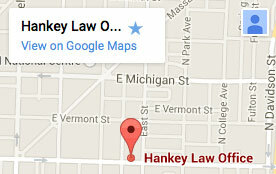 If you are experiencing difficulty applying for benefits in Indiana, a lawyer of the Hankey Law Office may advocate for you. Call our office today at (800) 520-3633 to learn more about your options.